The future potential for a significant increase in oil and gas exploration in Coshocton County has local landowners searching for information to enhance their knowledge and understanding of the entire process from drilling, leases, environmental concerns and more. Many meetings and informational opportunities have been conducted locally by various groups, organizations and landowners associations. OSU Extension has been part of this process as a research-based source of scientific information. The most interest is coming from landowners who have not leased their oil and gas rights and are seeking information that will protect their short-term and long-term interests. Deciding whether to lease land for oil and gas development is not a decision that comes easily. Many options must be considered to protect family rights and land, according to Rural Action of Ohio. The Rural Action group, comprised of Ohio State University Extension, Ohio Farm Bureau, and Appalachia Ohio Alliance, is the working organization of the Look Before You Lease group. All the organizations have a history of working with landowners in Appalachian Ohio. 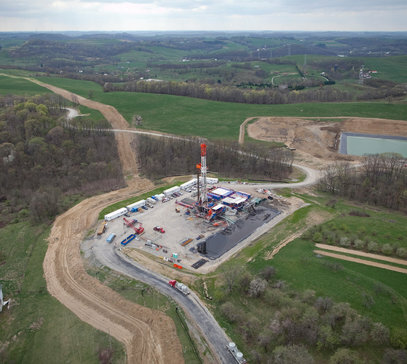 Look Before You Lease began looking at oil and gas issues facing landowners in Ohio, particularly around newer technologies such as horizontal hydraulic fracturing and private landowner leases. The group has developed a landowner-friendly lease example that offers explanation and insight regarding the purpose and the reason various clauses are important and included within the document. This sample lease is available as a starting point. The sample lease is intended to be used as an educational tool only.Working with a qualified attorney will help negotiate a landowner-friendly lease. There are many oil and gas companies currently working in Ohio. Select one that sees the property owner as a valued stakeholder in the project. Visit www.lookbeforeyoulease.org website to review the landowner tool kit, sign up for electronic updates, or order a CD version of the tool kit. In early 2012, three recorded webinars (video presentations via the internet) will be available on the website. The webinars will be an additional resource to understand the information contained in the sample lease. Redistribution of this sample lease is permitted and encouraged, so long as the lease remains intact and includes the approved cover letter. For information, contact Rural Action, P.O. Box 157 Trimble, Ohio 45782, attention: Look Before you Lease, or call 740-767-4938 . Paul D. Golden is an extension educator for the Ohio State University Extension Coshocton County. This entry was posted in Uncategorized and tagged gas, Leasing, look before you lease, oil, oil and gas, osu extension, paul golden. Bookmark the permalink. Thanks for the update and the information on how Rural Action and its allies are educating people in places like Coshocton County about the documented effects and implications of shale gas mining.